Rent a luxury yacht or a boat to see the Formula 1 race in Valencia. Corporate events at European Grand Prix F1 in Valencia. Considerations and tips to take into account. The following would define whether this yacht will use it also as a boat-hotel. Answer to the question: Sleep some guests on the yacht? Most boats have cabins, some luxury comfort and exceptional service better than most of available hotels in Valencia and also better, in the center of Valencia Street Circuit. The next thing is to choose the use that we have to make the yacht. Answer to the question “We want to see the Formula 1 race from our yacht or boat? or do we want to use it only as luxurious hospitality for our guests close to the F1 paddock? Knowing the use we give to our yacht, you will choose the location. There are several docking areas in the Marina Real Juan Carlos I. View berthing areas and visibility from the yacht or boat to see the Formula 1 race. You must remember that the yachts and boats moored in the inner harbor, can not go sailing because it locks the swing bridge. Choose your yacht or ship. To view the race from the yacht is necessary to have a certain height. Our yachts moored along the Valencia Street Circuit for the Formula 1 race have all a large fly-bridge that will allow you to see the Formula 1 cars compete over 300 km/h just 5 meters from the yacht, while enjoying a delicious refreshments served by one of our magnificent hostess. All our yachts are equipped with TV service on each deck and lounge. Depending on your plan to stay, you might want to offer a dinner party your guests on Friday or Saturday night. What better than a reception party on a luxury yacht? Ask for options available. If the number of guests is small, the crew of the yacht can offer an exquisite restaurant service, but if the group is larger, will need to hire a catering service. Need accreditation. With each yacht the Organization of Grand Prix Formula 1 provides a number of credentials, 12 this year. Must be purchased to complete the total number of guests. You may also be necessary hostesses and / or translator. Depending on the chosen location, access the yacht can be done only through dinghies. The Marina Real Juan Carlos I have this service during theValencia Grand Prix of Formula 1 and included in the price of the moorings. Sometimes this service is subject to delays. Almost everyone comes and goes at once. A private shuttle service in dinghies is recommended to avoid queues. During his stay in Valencia to attend Europe Grand Prix of Formula 1 may wish to perform other activities like shopping, sightseeing or museums, or sail a boat. Remember that in Valencia, because of its great conditions for sailing, there have been 2 editions of the America’s Cup. One option is to rent a sailboat and sail out a few hours, for example, at the end of the Formula 1 qualifying on Saturday afternoon some of your guests can visit the city of Valencia, while others go out sailing a couple of hours . Also consider hiring a shuttle service around town with uniformed chauffeurs at your service all day, for your transfer to Valencia. 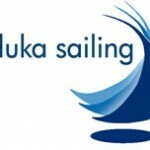 Illuka Sailing can offer all these services. A single provider for all services in the European Grand Prix Formula 1 in Valencia Stree Circuit. Contact us. This entry was posted in Tips and tagged Boats, F1, Formula 1, Spectator Boats, Street Circuit, Tips, Valencia, Vips, Yachts. Bookmark the permalink.